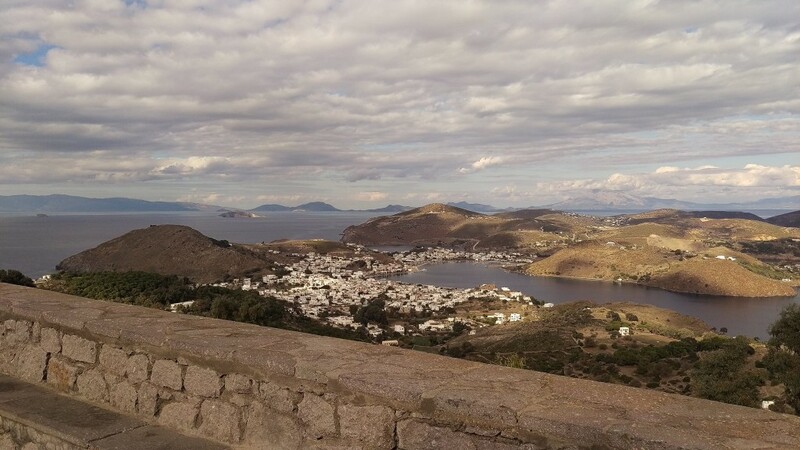 Patmos (Greek, Πάτμος; Italian: Patmo) is a small Greek island in the Aegean Sea. 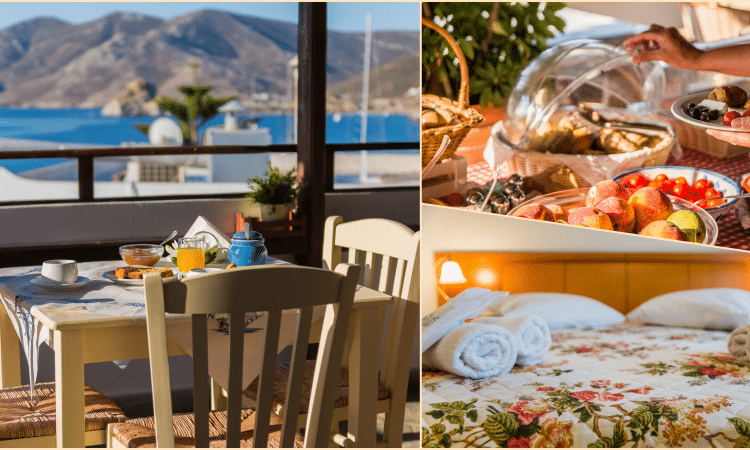 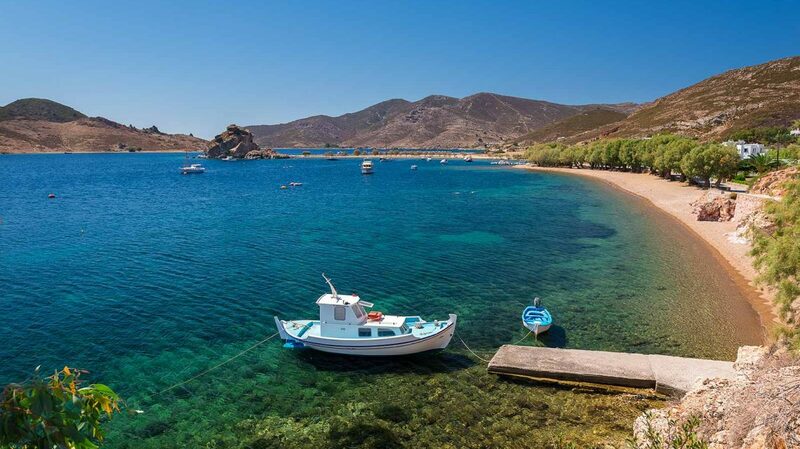 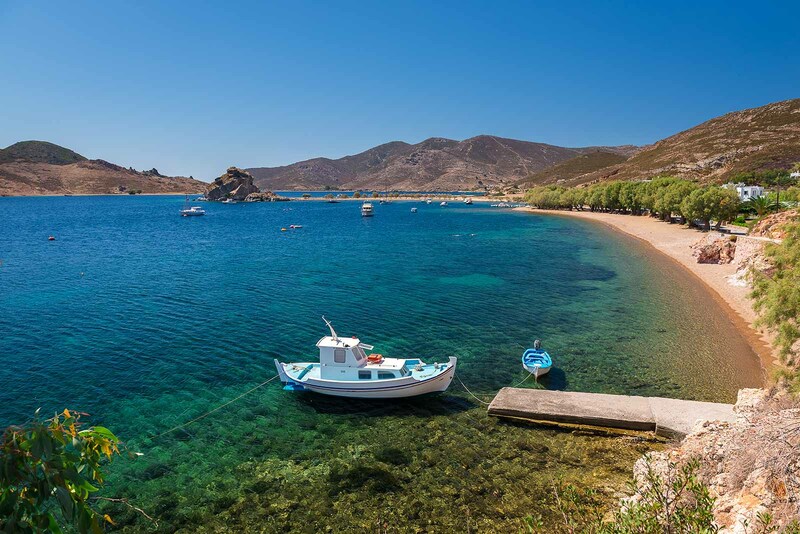 One of the northernmost islands of the Dodecanese complex, it has a population of 3,047 (2011 census), an area of 34.05 km2 (13.15 sq mi) and a combined land area of 45.039 square kilometres (17.390 sq mi). The highest point is Profitis Ilias, 269 metres (883 ft) above sea level. 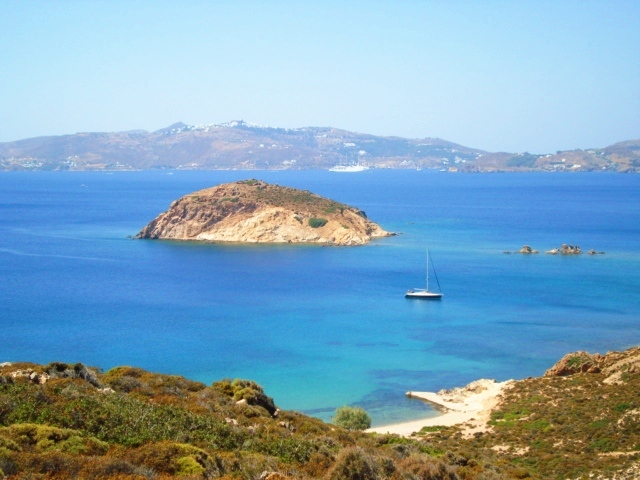 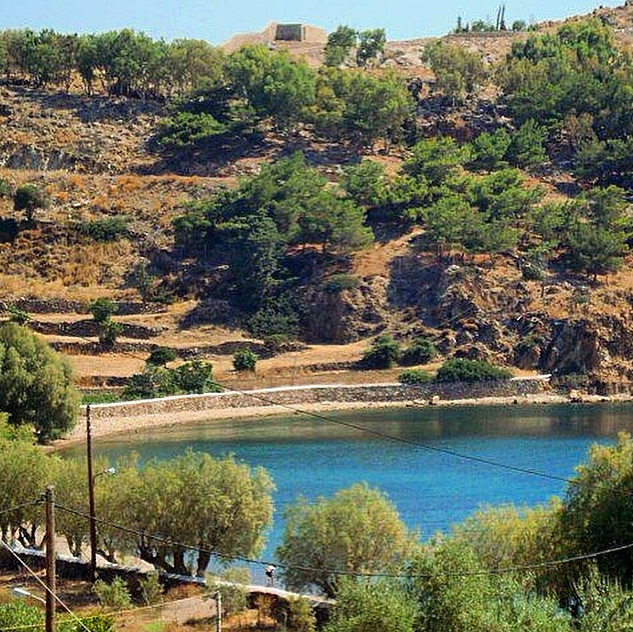 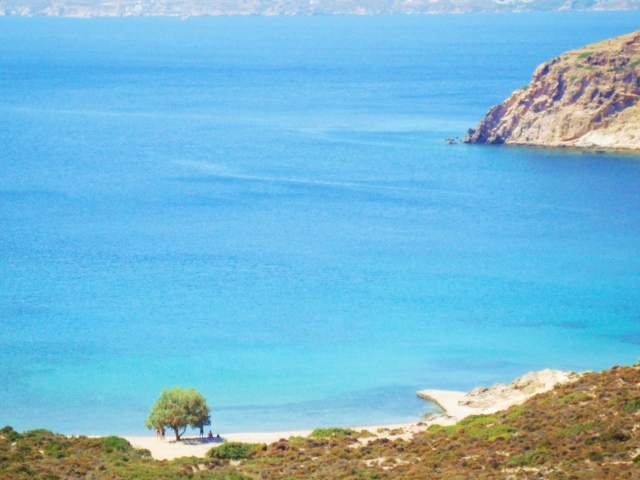 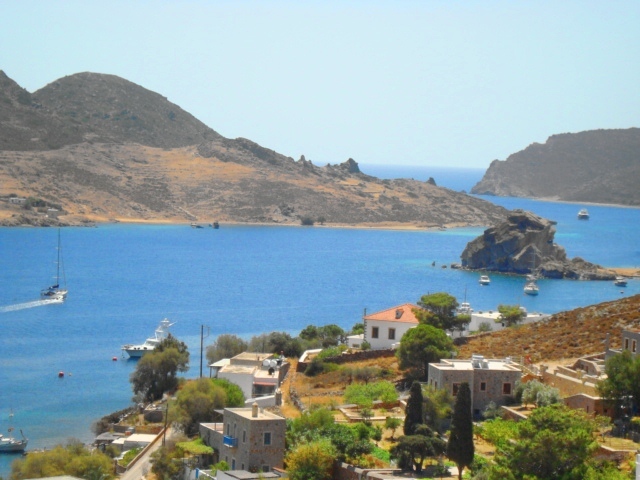 The Municipality of Patmos includes the offshore islands of Arki (pop. 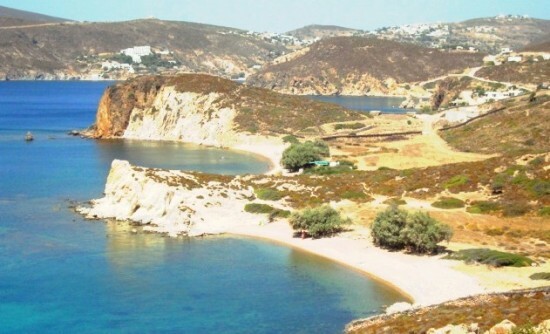 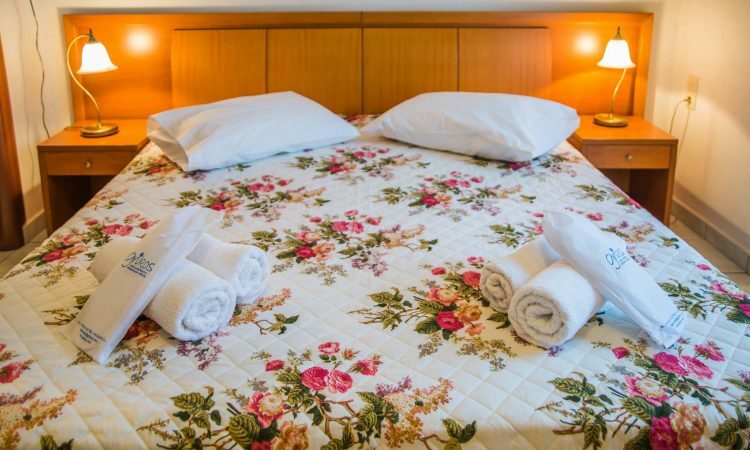 44), Marathos (pop. 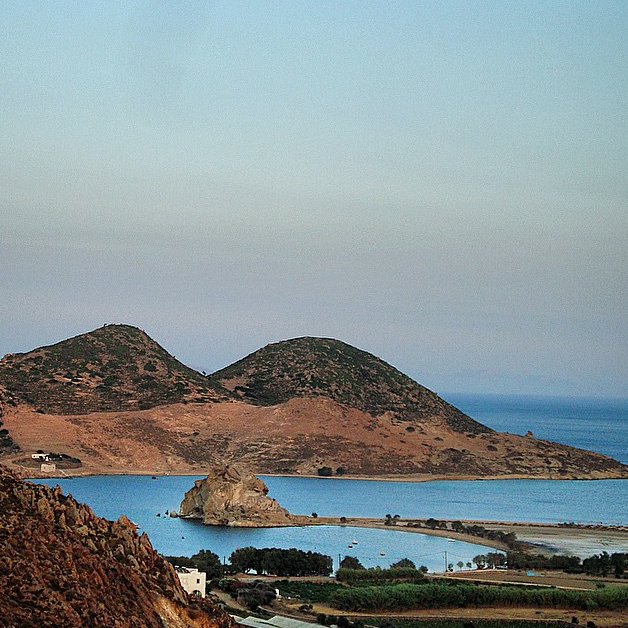 5), and several uninhabited islets. 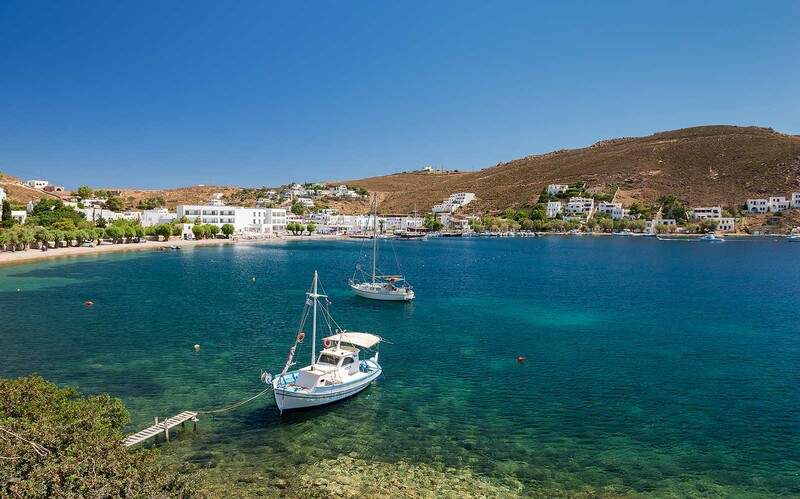 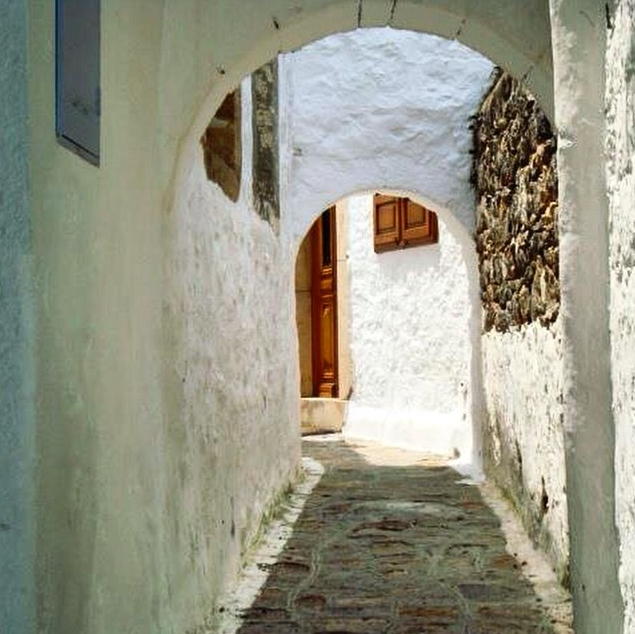 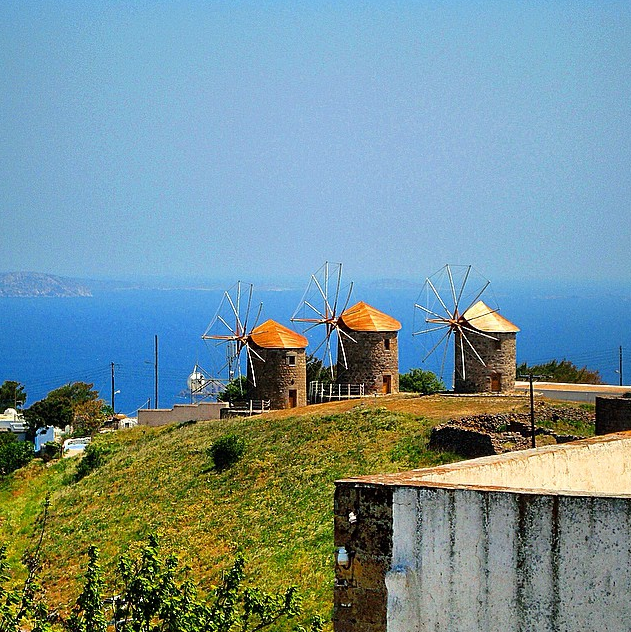 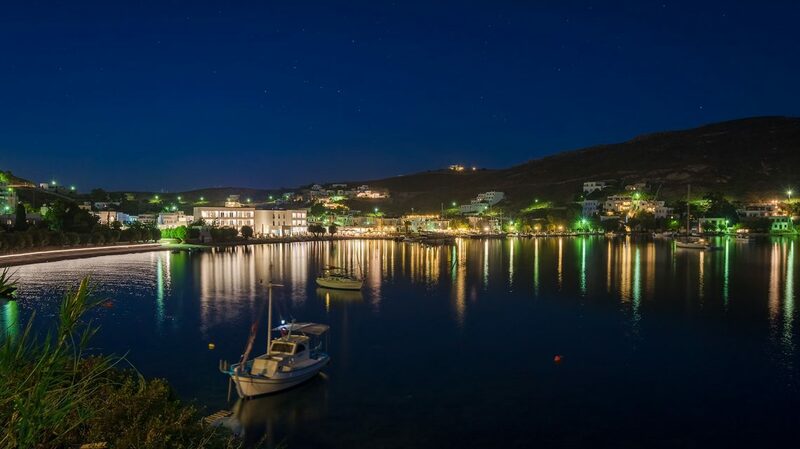 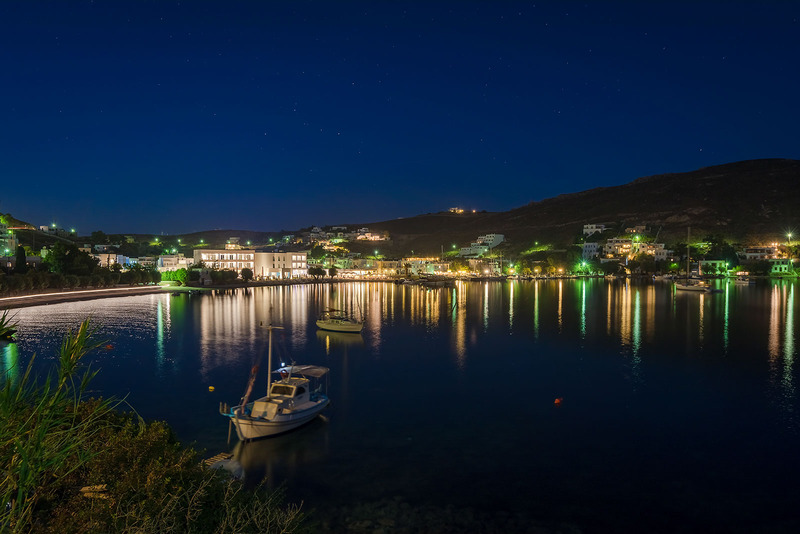 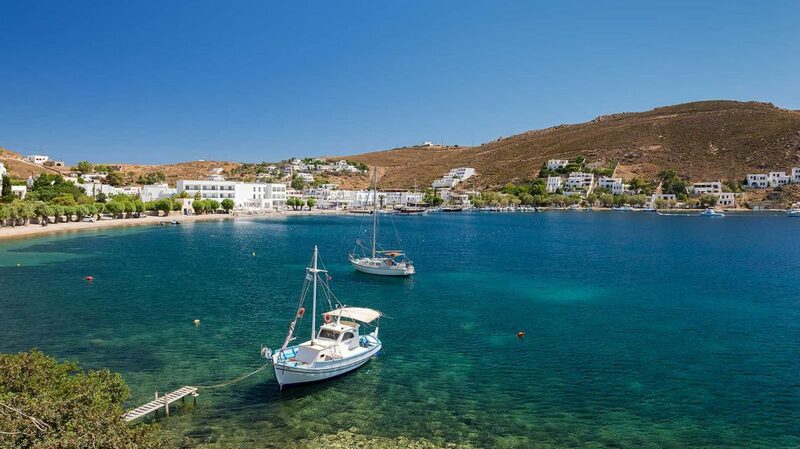 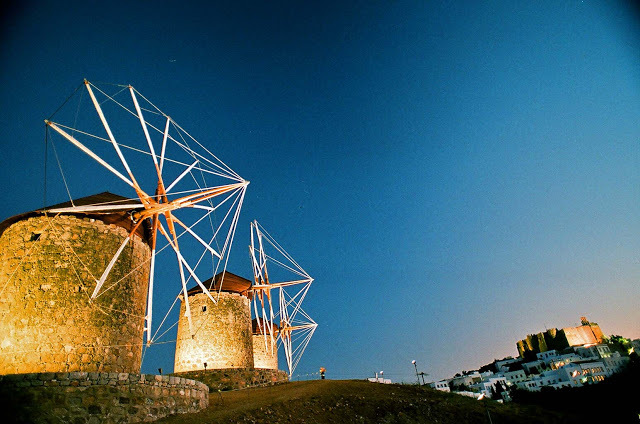 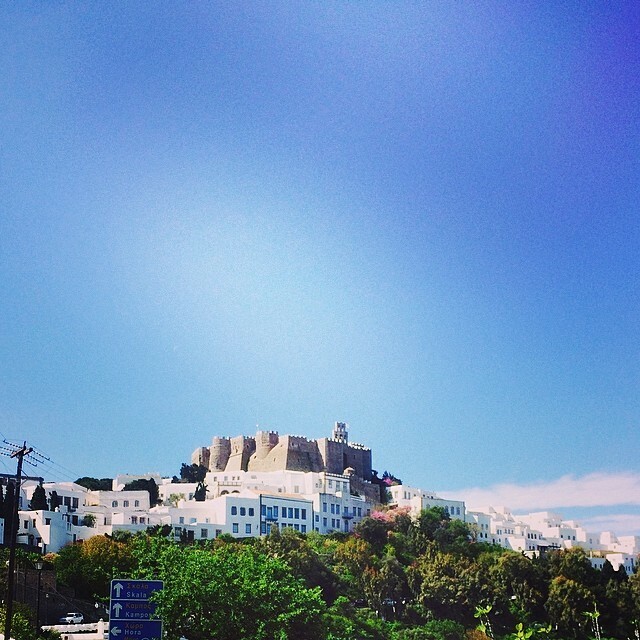 Patmos’ main communities are Chora (the capital city), and Skala, the only commercial port. 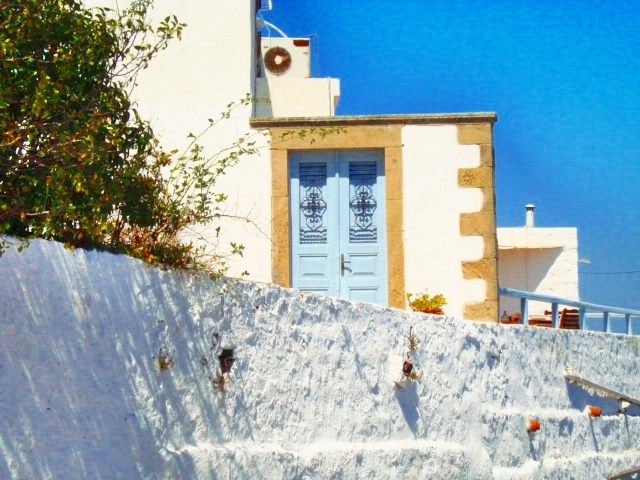 Other villages are Grikos, Kampos, Meloi, Agriolivadi, Lampi and Geranos. 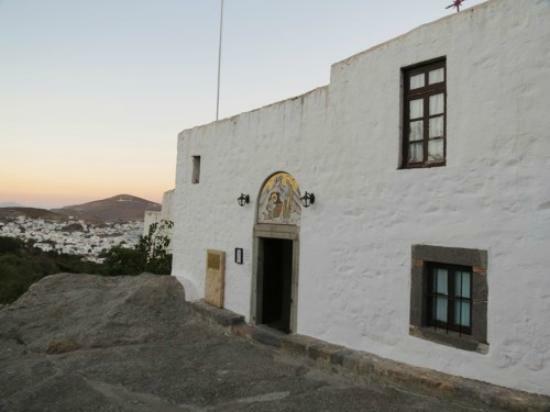 In 95 a.c. St. John the Theologian wrote in Patmos the holy book of the Revelation (“Apocalypse”), while in 1088 Osios Christodoulos founded the Monastery of St. John. 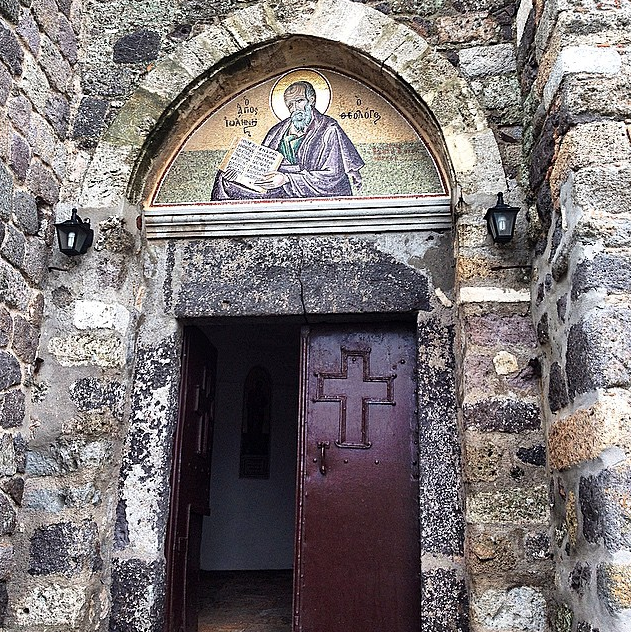 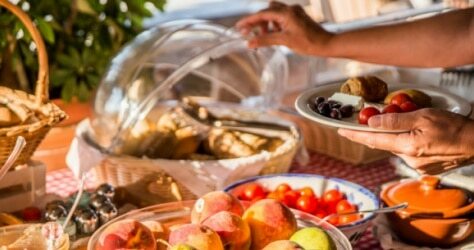 The churches and communities on Patmos are of the Eastern Orthodox tradition. 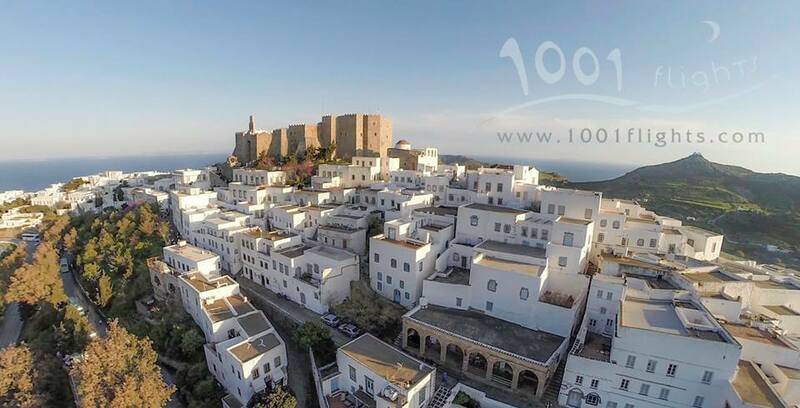 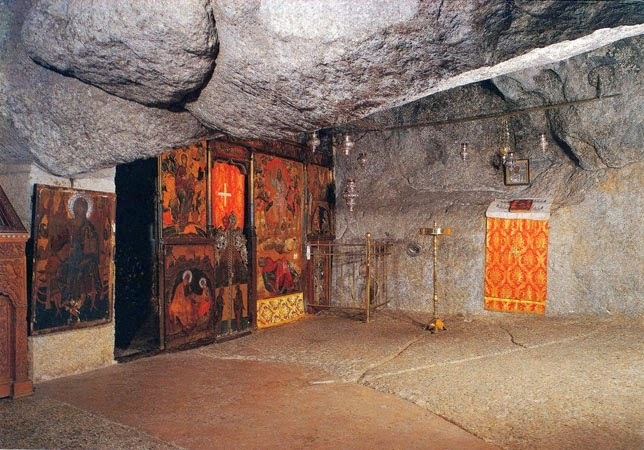 In 1999, the island’s historic center Chora, along with the Monastery of Saint John the Theologian and the Cave of the Apocalypse, were declared World Heritage Sites by UNESCO.